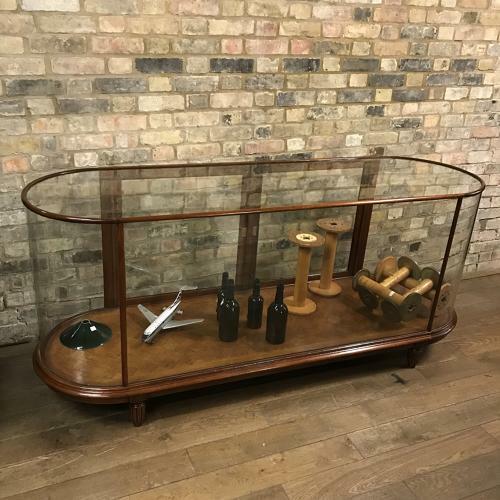 This Victorian bow end shop counter has beautiful mahogany moldings supporting toughened safety glass and has two opening doors. It will have a layer of glass shelves supported by adjustable Victorian style brass brackets and a beautiful parquet floor. This cabinet is identical to the original 1880s shop counter.